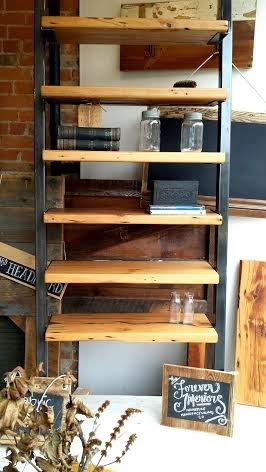 I think if there is one thing any home or business needs it is a good set of shelves. 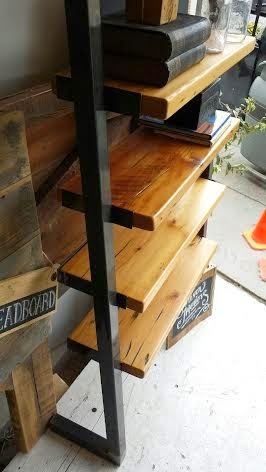 Both functional and stylish our three shelving units can be customized by width, height and stain to suit your space. The Z-Shelf is an incredibly attractive way to organize and display books or ornaments. This particular shelf is actually 7 1/2 feet tall with a 1 foot base and holds 7 shelves. As we customize this for every client, these dimensions change for every shelf built depending on the height, number of shelves required and the space between those shelves. The Box Shelf is new to Forever Interiors. 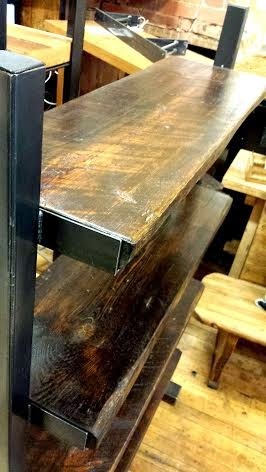 Like everything we do it is made with reclaimed wood and hot rolled steel. 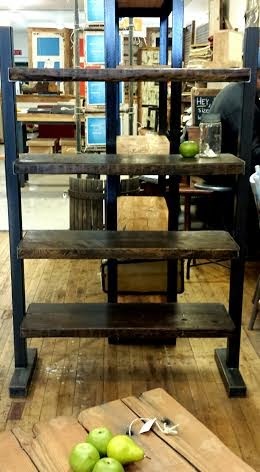 The unit pictured is 6 feet tall, 3 and a half feet wide, 13 inches deep and holds 5 shelves. The finishing on the wood is a natural stain which is a nice contrast to the hot rolled steel frame. 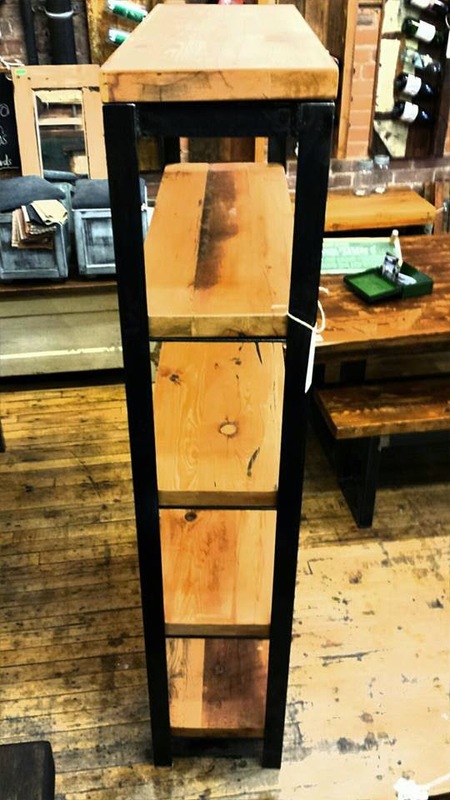 The Tree Shelf, so named because Martin thinks it looks like a tree when viewed from the side, is another shelving solution we have. This minimal, understated design highlights your belongings, and as with anything else, you can customize the size and stain. 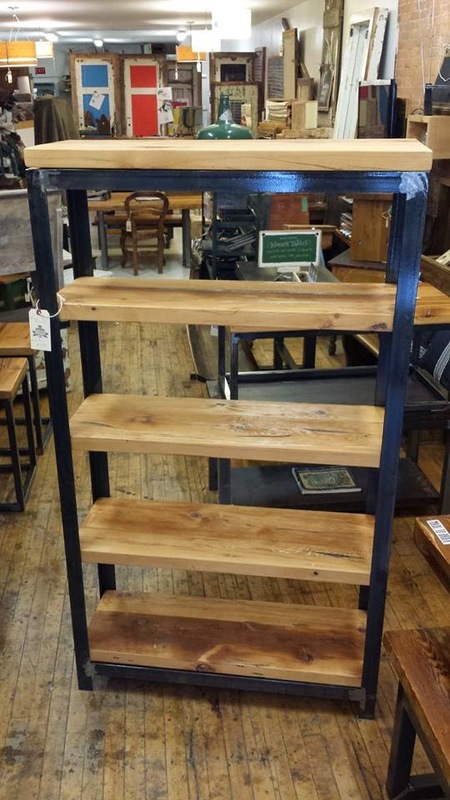 The pictured unit is 3 and a half feet wide, 5 feet tall, 11 inches deep and holds 4 shelves.